For more details and the latest news, check out the Google Apps Blog, and keep an eye out for this series here after the holidays. We launched more than 150 improvements to Google Apps in 2011, and we have a ton more in store for 2012! We've all been wowed by the entrepreneurial spirit behind the 15 awards in this category, all of whom are using the web, open source programming and other technology platforms to connect communities and improve access to information. Vittana, for instance, helps lenders offer loans to students in the developing world who have have a 99 percent repayment rate—potentially doubling or tripling a recipient's earning power. Code for America enables the web industry to share its skills with the public sector by developing projects that improve transparency and encourage civic engagement on a mass scale. And Switchboard is working with local mobile providers to help African health care workers create networks and communicate for free. is posted on our Google+ for Nonprofits community page where you can find lots of resources to get started. In addition, you may have noticed that in the past couple days, a group of entertainers and individuals have started drawing attention to their favorite charities with the phrase #CauseILoveEm, and creatively showing their followers what they love about these nonprofit organizations. +Russell Brand is asking fans to volunteer for two hours of charity work at +Habitat for Humanity of Greater Los Angeles, +Los Angeles Animal Alliance or one of four other local LA charities. In exchange, he and Sarah Silverman will give fans two hours of live comedy. +Usher and student participants in his New Look Leadership Academy asked people to do an international act of kindness and post descriptions of their acts including photos and videos as comments on +Usher's New Look Foundation. The acts with the most "+1"s will be re-posted by Usher and highlighted on the New Look Foundation website. +Linkin Park posted a new video asking people to spread the word about +Music For Relief and their new Power the World Give Light campaign, which encourages people to donate to provide solar-powered light bulbs for families in Haiti without electricity. People who share their website online and drive the most clicks will be eligible to win prizes. +Dolly Parton and +Dolly Parton's Imagination Library, her early child literacy program that provides 700,000+ free books every month, are sharing Champion Spotlight stories about their community leaders and are posting the 20 most inspiring Imagination Moments submitted by families who have benefited from this gift of reading. Co-founder +Hugh Jackman and +Laughing Man Coffee & Tea asked people to share photos of themselves with Laughing Man's fair trade products (the profits of which go to charity) and to sound off on living their motto, "All Be Happy," using #CauseILoveEm to be included in a thank you photo album. +Josh Groban and +Find Your Light Foundation announced the Fulfill-a-Wish campaign, spotlighting the needs of nonprofit arts organizations from across North America in videos and posts and asking for your help fulfilling these holiday wishes. We’d love for you to take advantage of this movement to generate more awareness for your nonprofit. Ask your Google+ followers to share your organization publicly and with their circles using #CauseILoveEm, and letting people know why they love you in the most creative ways possible. Consider starting a quick campaign to engage new people ready to “share their love.” For example, give people something that they can do to get involved this month like posting a video about your cause, sharing a story related to your organization, or volunteering to be eligible for a Hangout for your program recipients. Please also join the open circle we’ve started on our +Google for Nonprofits +Page so we can suggest your organization to people wondering which nonprofits they can connect with and showcase. We hope these tips and this viral program help you a bit towards achieving your year-end goals this holiday season. We know you must be really busy right now trying to wrap up your year-end goals, especially fundraising targets, before everyone heads out for the holiday season. The Google for Nonprofits team would like to help. We’ve seen nonprofit organizations doing great work on Google+ to reach new people and build relationships with their audiences, and so wanted to provide you with a “holiday gift” of tips on turning your new Google+ followers into active contributors to your organizations this holiday season. This booklet is posted on our Google+ for Nonprofits community page where you can find lots of resources to get started.
? Would you just rather talk to someone directly? We’re happy to say that you can do both. If you have a question about Google Grants and you want a good answer fast, the Google Grants Help Forum is the place for you. We’ve just re-launched the forum with the new look and feel that you might already be familiar with from using other Google products like Gmail, and we think you’re really going to like it. It follows the same principles as the other products: focus, elasticity and effortlessness, but most importantly, it’s designed to get your questions answered fast. We have dedicated Top Contributors (you’ll know them by the blue icon next to their name), Google employees (you’ll know them by the Google icon next to their name) and many active nonprofit participants ready with answers to your Google Grants questions. Plus, there are already lots of answered questions for you to browse. Your question may already have been answered! But what if you just want to ask a real live person about your AdWords account? Well, you can do that, too. Back in April, we announced free phone support for US and Canadian-based AdWords advertisers, and we thought this would be a good time to remind you that, as Google Grantees, this resource is available to you, too. Just call 1-866-2Google between 8am and 8pm EST Monday-Friday and have your AdWords customer ID ready. If you’re outside the US and Canada and want to talk to an AdWords specialist, check this list for your local support phone number. Do you have a question about Google Grants that you can’t find an answer to, even in our newly updated Help Center? Would you just rather talk to someone directly? For the past 60 years, the Foundation has helped millions of students and adults make the reading and discussion of literature a lifelong source of enjoyment, personal growth, and social engagement. We offer courses for teachers in person and online. The Foundation also publishes books, anthologies, and materials for all ages to provide quality texts to discuss. We have a history of using free and open-source applications on our desktop computers and servers that are more flexible and powerful than the paid applications we had been using. Once we learned that Google Apps was available at no cost for nonprofits under 3,000 users, I gathered our IT planning committee to plan how to migrate 60 users from our existing system. 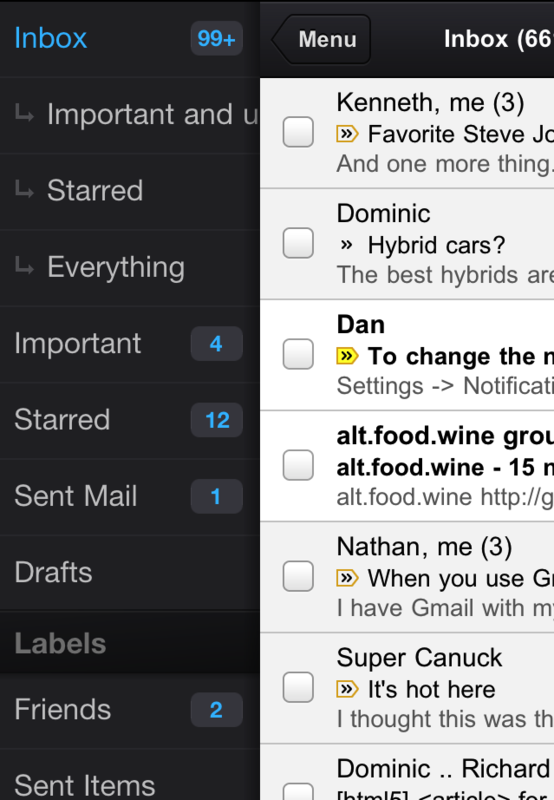 We had been using an onsite email system for years because it was part of our file system. Although we upgraded the system every two years, it never seemed up-to-date. We had issues reading certain types of documents and viewing images and web sites. Using the system away from the office caused problems because we needed special applications, which varied by operating system. The calendar was not compatible with our mobile devices and the document repository was difficult to manage. As a result, most staff did not utilize the IT solutions we were offering. We planned our deployment with a local developer Rachel Baker, whom we met through NTEN (Nonprofit Technology Network). She helped us understand what was required for a successful deployment and guided us through the process. We also used the Google Apps Marketplace to find a Google Apps reseller, Cloud Sherpas, whose specific migration knowledge and software helped us move all of our data. At launch in 2009, our staff was thrilled to finally use a modern email program with highly reduced spam. Years later, some of us have still not gotten over this giddy feeling. 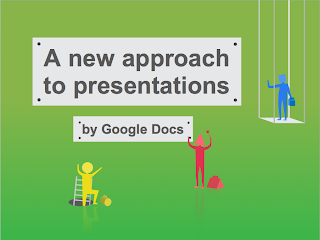 More teams are using Google Docs to share internal and external documents. 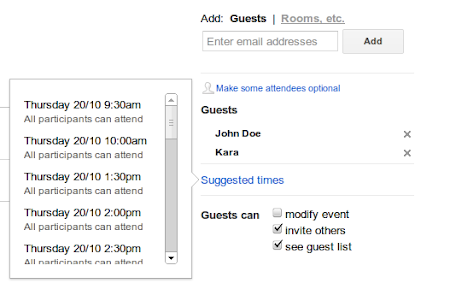 Google Calendar is the official way we schedule our meeting rooms. Now in 2011, we're excited to try out Google+ in our organization to find new ways to collaborate. We are considering using Google+ to provide technical support for our employees. Also, we think our remote workers could use Google+ as an easy way to communicate with their peers and home base while travelling. Part of my job is seeing the future so I can help direct the Foundation toward technology that will work for them. Google is always improving its products and launching new features. I love it when I can show someone the next new thing. It makes them smile, which makes me smile too. If you are a U.S. 501c3 nonprofit interested in using Google Apps, please apply for our Google for Nonprofits program. If accepted into the program, you can receive up to 3,000 users for free, or a 40% Business discount on more than 3,000 users. Non US-based organizations can sign up for a free Google Apps account with 10 users, or you are welcome to purchase Google Apps for Business. To help you setup Google Apps quickly, Google provides many deployment resources, plus a simple in-product Setup Wizard. Editor's note: Today’s guest blogger is Mark Gillingham, Vice President of The Great Books Foundation, a nonprofit educational organization whose mission is to promote reading, thinking, and the sharing of ideas for people of all ages. The Foundation's 60 employees have been using Google Apps for over two years. program, we created a place for organizations to share stories of the powerful work they are doing to change the world. 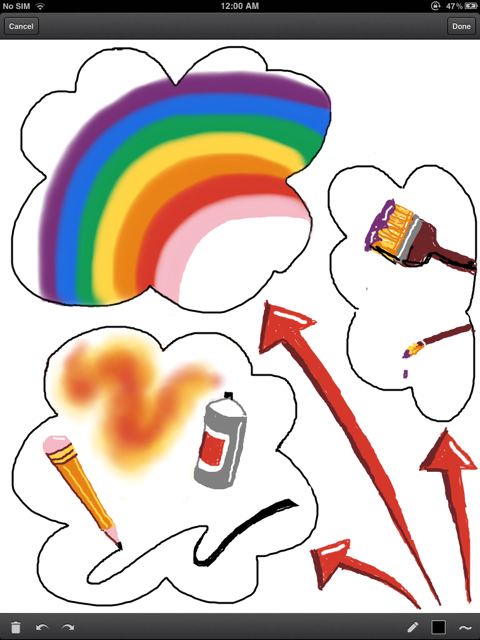 Our Make a Change website collects lots of big and small changes made by people at nonprofits. We are inspired by these organizations and want to continue to share these stories so we invite you to share your organization’s story with us via this webform. Tell us about how Google products have helped you make a change with your organization. We would love to hear more about what you’re doing and we may even feature you on our Make a Change website. With the launch of the Google for Nonprofits program, we created a place for organizations to share stories of the powerful work they are doing to change the world. Our Make a Change website collects lots of big and small changes made by people at nonprofits. We are inspired by these organizations and want to continue to share these stories so we invite you to share your organization’s story with us via this webform. Tell us about how Google products have helped you make a change with your organization. We would love to hear more about what you’re doing and we may even feature you on our Make a Change website. If you’re looking for help creating your Google+ page or about Google+ in general, check out the Google+ Help Center. 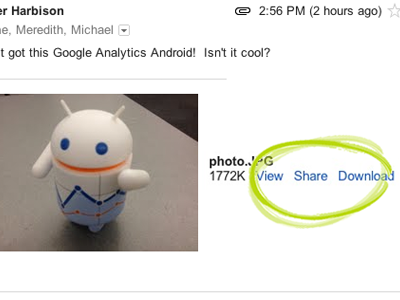 If you want to pose a question about Google+ Pages, head over to Google+ Page Discuss. 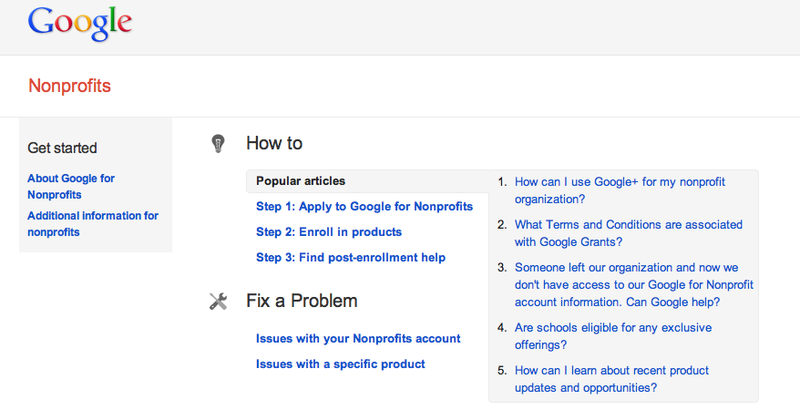 If you have general, nonprofit-related questions, explore the Google for Nonprofits Help Center. If you have support-related questions, you can ask them in the Google for Nonprofits Discussion Group. And we’re on Google+ too! So if you haven’t already added the Google for Nonprofits Google+ page to your circles, head over and check us out. We hope this series was helpful to get your nonprofit started with Google+ and look forward to learning more about how your organization is using Google+ to further your goals. Make sure to share your Google+ best practices on our page so other nonprofits can learn from you. , let people know about it! There are lots of ways to tell the world that your nonprofit is on Google+. Newsletter & Email copy: We’re now on Google+! [link to your Google+ page] We’ll be posting regularly about what we’re up to and will be trying a few Hangouts. So come check us out on Google+. And if you love us, add us to your Circles so you can get all of our Google+ updates directly in your Google+ stream. Leave a comment on our Google+ Page and let us know what you think. Let users know they can find you on Google+ by connecting your Google+ page to your nonprofit’s website. Learn more about linking your +Page to your website. Help your message circulate by installing the +1 button on your website. You can easily grab a snippet of code and work with your webmaster to add it to your website. You know your page and your users best, so we recommend putting the button wherever you think it will be the most effective. Learn more about the +1 button. By telling everyone that your nonprofit is on Google+, you can let volunteers, friends, donors, board members & more know that they can have a customized conversation with your nonprofit on Google+. Now that you’ve put a ton of work into your organization’s Plus Page, let people know about it! There are lots of ways to tell the world that your nonprofit is on Google+. to get nonprofits up and running successfully on Google+, here are a few ways for you to start sharing your Google+ page with key audiences for your organization. You can post content publicly so people can find it using search, or use Circles to tailor your message to more specific users. Regularly posting interesting content, engaging with your users by asking questions, and sharing photos and videos are all ways to keep people coming back for more. Learn more technical tips on how to share content with others. Nothing beats having a live, dynamic gathering around a topic that your organization works on or cares about. Hangouts let you set up one-click video conversations with volunteers, donors, and recipients -- whoever you want to have a conversation with. Just let your followers know when you’ll be hanging out and what topic you want to discuss. You can get face-to-face interaction in real time -- all over high-quality, easy-to-use video chat. Starting a hangout from your +Page is easy, just make sure you’re looking at your +Pages stream, and click “Start a Hangout” on the right hand side of your stream. Check yourself out in the “powder room” to make sure your mic works and you look great. Then, add the circles you would to join the hangout, and click “ Hangout.” Learn more about Hangouts with +Pages. Different people have different interests, and Google+ allows you to easily share relevant content with the right people. For example, you could create a circle for volunteers and share information with them about upcoming events. Learn more about managing Circles on Google+. It’s important to stay updated about what is happening on your page and what the general tone is. Whether negative or positive, make sure to stay engaged with your Google+ page by responding to comments. Some comments, even if negative, may still serve as a gateway for richer dialogue about important issues. Consider how you can leverage a difficult comment to have a conversation. Try searching for your organization’s name in Google+ to learn what people are saying publicly about your Google+ page. Also make sure to monitor other +mentions of your page by looking in your notifications stream. Check back tomorrow for more information about how you can tell the world that your organization is now on Google+. Do you ever wish you could tailor your social media communications to all of the different audiences your nonprofit communicates with? For example, you probably speak to volunteers differently than how you speak to the board. As part of our week-long series to get nonprofits up and running successfully on Google+, here are a few ways for you to start sharing your Google+ page with key audiences for your organization. to help nonprofit organizations get up and running on Google+, we wanted to share some more details about how you can successfully create your Google+ page. Your Google+ Page is the home of your organization on Google+; make it yours with photos, success stories, information about volunteering and donating, project locations and more. You can follow the steps below to get your organization up and running on Google+. You’ll need to have a Google Account and a personal Google+ profile to create a Google+ Page. Once logged into your Google+ profile, on the right hand side of your stream, you will see “Create a Page” to begin creating your page. When you create your page, you’ll be asked to select a category, make sure you select “Company, Institution or Organization” to indicate that you’re a nonprofit. To get started, walk through the dialog boxes to set up the basics of your profile including a profile picture and a tagline for your organization. Want more help? Learn more about creating your Google+ Page and editing your profile. Want to start the conversation? Make your page engaging so that users want to come back and check what new content you’ve added. You can choose which circles you share info with, so people are only seeing the updates that are the most relevant and interesting to them. Learn more about sharing on Google+. Whenever someone adds you to their Circles, you can add them right back, so spreading the word and encouraging people to add you is a key component of talking to the people who want to hear from you. To view people and pages who aren’t already in your circles but have added you, review your followers on your Google+ page. Learn more about adding people to your circles. Follow the latest on Google+ and in the Google for Nonprofits community by adding our official Google+ team page and the Google for Nonprofits Google+ page to your circles. Interact with our Google+ page by dropping by for a hangout, reading and commenting on our tips, and letting us know how you’re liking Pages by sharing a post with us. Check back tomorrow for more tips and tricks to engage with people who care about your nonprofit on Google+. As part of our week-long series to help nonprofit organizations get up and running on Google+, we wanted to share some more details about how you can successfully create your Google+ page. - a new way to have customized conversations and interactions with your constituents - volunteers, donors, fans & more. Google+ is a great place for you to connect with consumers who are passionate about your cause. With the launch of Google+ Pages, any cause, nonprofit or organization can now have a presence on Google+. We’ve compiled a few Google+ tips to help your create your Google+ profile, start posting, grow your circles, start a hangout, monitor the conversation and tell the world that your nonprofit is on Google+. A few organizations, Pencils of Promise, Save the Children and Museo del Prado, have started their own Google+ Pages. We hope their early work gives you some ideas & inspiration for your nonprofit’s Google+ page. The Google for Nonprofits team is on Google+ too! Check out our Google for Nonprofits Google+ page and add us to your circles. We'll post community questions, host hangouts so you can meet the team & hear from experts, share tips & engage users in an ongoing conversation about nonprofits and technology. There are also many resources to help you stay up-to-date on the latest news from Google+. 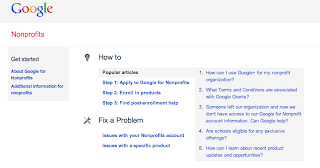 We’ll post new information about Google+ for nonprofits on the Google for Nonprofits blog. Check back this week for more information about how nonprofit organizations can utilize Google+. You can also follow the Official Google blog to keep up with the latest Google+ product news and updates. If you need additional help with your Google+ page, check out the Google+ Help Center or post a question in the Google+ Page Discuss. We look forward to connecting with you on Google+. We’re committed to building online tools that help your nonprofit grow and thrive. One of our goals is to make it easier for you to connect with the millions of people who come to Google each day looking for organizations and causes to connect with. An important part of that connection is the lasting relationship you develop with your various constituents. We want to make sharing online more like it is in the real world. That’s why the Google+ team introduced Google+ Pages - a new way to have customized conversations and interactions with your constituents - volunteers, donors, fans & more. Google+ is a great place for you to connect with consumers who are passionate about your cause. Please make sure to visit the Help Center links listed above to learn about these new features. We also want to thank the members who have provided input in the Google for Nonprofits forum. We hope you enjoy the new features. , a new award that recognizes Google Online Marketing Challenge student teams that made an outstanding difference to their nonprofit partners via superb online marketing campaigns. The deciding factors for these winners were the effectiveness of the campaign and a 200-word report on how the advertising impacted the nonprofit. The reports were judged by an independent panel of nonprofit leaders. Michael Albrecht and Christian Pfeifhofer taught by Dr. Horst Treiblmaier from Vienna University of Economics and Business worked with TrashDesignManufaktur. TrashDesignManufaktur is a non-profit organization in Vienna which offers unemployed persons the opportunity to learn new skills by up-cycling electronic waste and discarded machines into high-quality design objects, such as jewelry and furniture. Sebastiano Comin, Simone Dolci, Elena Merazzi, Elena Moriondom and Giuseppe Scampa taught by Dr. Nicoletta Vittadini from Università Cattolica del Sacro Cuore collaborated with Istituto Oikos. Istituto Oikos works in Europe and in developing countries to advocate for and promote environmental conservation. The team of Erin Blatzer, Lauren Davis, Carolina Thomas, and Jeffrei Clifton taught by Professor Steven Koch from University of Houston partnered with the Houston Symphony. The Symphony is one of America's oldest performing arts organizations and performs approximately 170 concerts each year for more than 350,000 Houstonians. If you’re interested in being involved in next year’s Google Online Marketing Challenge NGO Impact award, stay tuned to our website. We’re pleased to announce the winners of the NGO Impact Award, a new award that recognizes Google Online Marketing Challenge student teams that made an outstanding difference to their nonprofit partners via superb online marketing campaigns. The deciding factors for these winners were the effectiveness of the campaign and a 200-word report on how the advertising impacted the nonprofit. The reports were judged by an independent panel of nonprofit leaders. After the earthquake in Van, Turkey, Google Person Finder has launched in Turkish for people looking for their loved ones in the region. Through Google Person Finder, people can enter a new record in the list for a person they're looking for. Anyone who has information for the missing people on the list can update the data. All data entered will become publicly available, viewable and usable by anyone. And you can help search and rescue teams by updating the status of missing people. To use Google Person Finder, visit this site: http://turkey-2011.googlepersonfinder.appspot.com/. Google Person Finder was developed after the Haiti earthquake in January 2010 to help people who were trying to reach their friends and families, and to reunite them. We hope Person Finder helps people get the latest information on missing persons using one common source. After the Japanese tsunami, 600,000 persons records were entered into Google Person Finder. For more information about how it works, click here. Last week we told you about Children’s Radio Foundation and how they use Google Docs to act like a file server for their organization. This week, we’ll talk about another nonprofit, Grassroot Soccer who uses a different Google product - Google Sites - to host files for their organization. Also headquartered in Cape Town, South Africa, Grassroot Soccer is a nonprofit organization that uses the power of soccer to educate, inspire, and mobilize communities to stop the spread of HIV. Located in approximately 15 countries, Grassroot Soccer uses Google Sites to allow its dispersed employees to access important organizational wide documents. But how exactly do they do this? The staff has created a number of sites to organize and share information. The organization is made up of various departments including Communications, Programs, Monitoring and Evaluation, and Curriculum & Development. Here’s a snapshot of the nonprofit’s site dashboard. Let’s dig deeper into a few of the individual sites and see what Site features they utilize. Under the Programs category, there is a site dedicated to one of GRS’s most popular program types called a Voluntary Counseling and Testing (VCT) Tournament. Essentially these are large youth soccer tournaments where there is a testing center on site for youth and spectators to be tested for HIV. You can imagine how much planning goes into one of these events, and the VCT Google Site is a repository for all the key documents needed to put on this event. 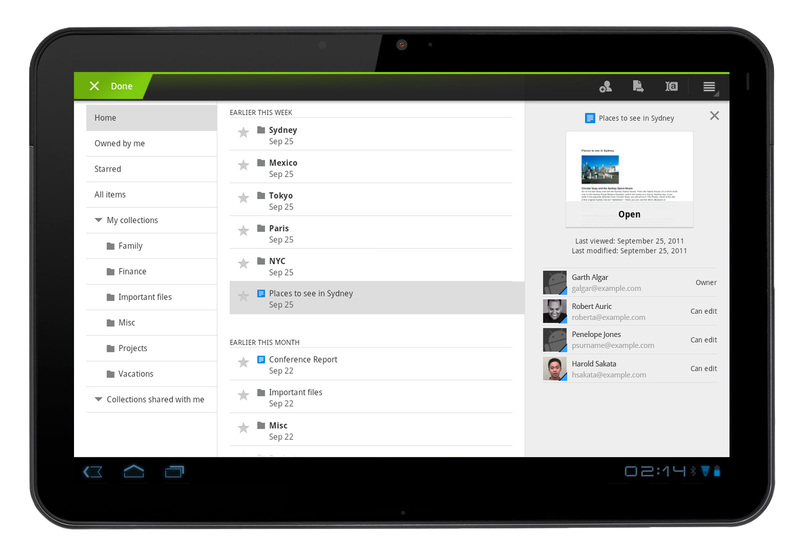 Create folders to categorize their documents for easier organization. The File Cabinet holds everything from vendor contact lists, to letters to schools informing them of the tournament, to the surveys used for monitoring and evaluation at the event, being able to categorize these templates into folders makes them easier to find. Allows them to add, delete, or move files within the cabinet. The File Cabinet allows the easy ability of editing what’s included in the File Cabinet, by doing so directly in the site. Your changes are reflected on the site and anybody can subscribe to receive emails when a change is made to the cabinet. Google Sites, like Google Docs, can also store more than just documents, so if you want an eclectic range of file types together, it’s possible. Under the Communications category, Grassroot Soccer has a site called the “Brand Book.” This site holds documents, photos and videos related to their marketing, communications, and branding strategy. Let’s say for example, a GRS staff member in Zimbabwe is curious as to what letterhead to use to write an official document to the ministry of health, or they want to order business cards for themselves, they can check the “Brand Book” to access the most up-to-date templates for letterhead or business cards. Grassroot Soccer uses Attachments to simply attach the relevant documents to the bottom of the sites page. Because hosting your documents on sites allows you to easily mix documents with other media, on the Brand Book site you’ll also find top GRS photos and videos. In terms of site management, the staff members of each departments manage their departments’ sites, and everyone within Grassroot Soccer can see every site. Now that you’ve seen how Grassroot Soccer uses Google Sites to host their files and documents, try it out and let us know if it’s working for your organization by posting on the Google Discussion Forum. This month we’re featuring the Mental Health and Crisis Intervention category of the nonprofit industry. Look to future months for other NTEE nonprofit categories. Grantees in the Mental Health and Crisis Intervention industry were most likely to track “new volunteers” as their most important metric, state "reaching new constituents" as their main mission objective served via their Grant and state "raising awareness" as the main marketing objective served via their Google Grant. With regard to the performance of their Grants AdWords account, they received an average of 35% of their total site visits from their Grants AdWords account and an average of 2,100 conversions over the last year (11/2009 - 11/2010). An average of 9.5% of Mental Health and Crisis Intervention organizations who responded to the survey report that they currently use an agency, SEO or SEM to manage their Grants AdWords account. We hope that, as an organization focused on mental health and crisis intervention, you will be able to use these industry benchmarks to gauge your own performance with online marketing and begin to understand the trends of your particular vertical within the nonprofit industry. Last year we asked participants in the Google Grants program to submit surveys about their experience with Google Grants, AdWords and other products. Of the responses we received, we were able to glean a bit of insight into the industries that make up the nonprofits in our program and would like to share those insights with you for the purposes of creating your own benchmarks and metrics in this monthly benchmarking series. Recently, I’ve been hearing a fair amount of buzz amongst nonprofits about wanting Google products to act as a “file server” for their organization. Google Docs and Sites can allow for storage and access by all different computers, providing a lot of similar functionality as nonprofits rely on from "file servers”. Children’s Radio Foundation and Grassroot Soccer have used Google Docs and Sites in two very different ways to provide document hosting and sharing across their organization. We sat down with these two organizations to learn more about how Google has provided a free and easy alternative to server hosted solutions. This week we’ll focus on the Children’s Radio Foundation (CRF). We interviewed Tom Henry, CRF Board Member to learn more about how the organization uses Google Docs to host their files. The Children’s Radio Foundation (CRF) is a nonprofit based in Cape Town, South Africa that focuses on using the rich subtext of radio media to give young people a voice, and empower them to contribute to individual and social change. Tom Henry, a volunteer for CRF has greatly helped the organization by designing a method for them to host and share files using Google Docs. One of Tom’s favorite Google Docs features is collections, which allows him to label related files and group them into folders that can then be shared with others across the organization. What benefits does Tom see of using Docs and collections? 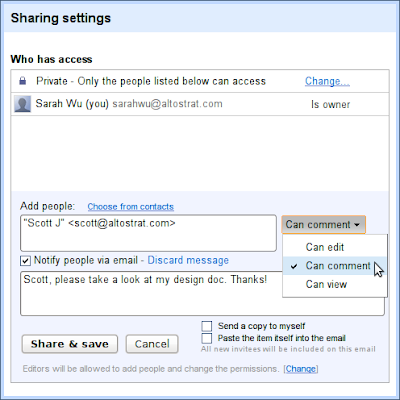 Advanced Sharing Options: With collection’s advanced sharing options, Tom can choose who can view, comment and edit the various collections. Multiple Collections: Tom can create multiple collections, each representing a key part of the organization (eg. Legal information, Board information, etc. ), and program-related collections named by the country where the program exists. Multiple file types: Collections can include files of all types including PDF’s, spreadsheets, and text documents. Direct upload or Convert to Google Docs: When uploading docs to collections, Tom most frequently uploads text documents and spreadsheets and then converts them into Google Docs, allowing employees the ability to edit and collaborate on these docs online, upon upload. However, at times, Tom would prefer to upload them in the original PDF format, without conversion to the Google Doc equivalent, making sure he is holding the integrity of the document. Now that you’ve seen how CRF uses Google Docs, try it out and let us know if it’s working for your organization by posting on the Google Discussion Forum. That’s why we just launched the Google for Nonprofits Help Center, a one stop shop where you can find support for the Google for Nonprofits Program and all associated products without having to dig through multiple help centers to find the support you need. You’ll notice that close to 50 new articles have been added to what used to be the Google for Nonprofits FAQ page, and that we have cross-published articles from the Google Apps, Google Earth, and SketchUp help centers. Additionally, you may have noticed that the Google Grants Help Center has moved to the Google for Nonprofits help center. 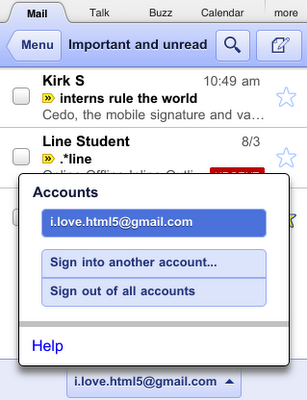 Confused about enrolling in Google Apps? 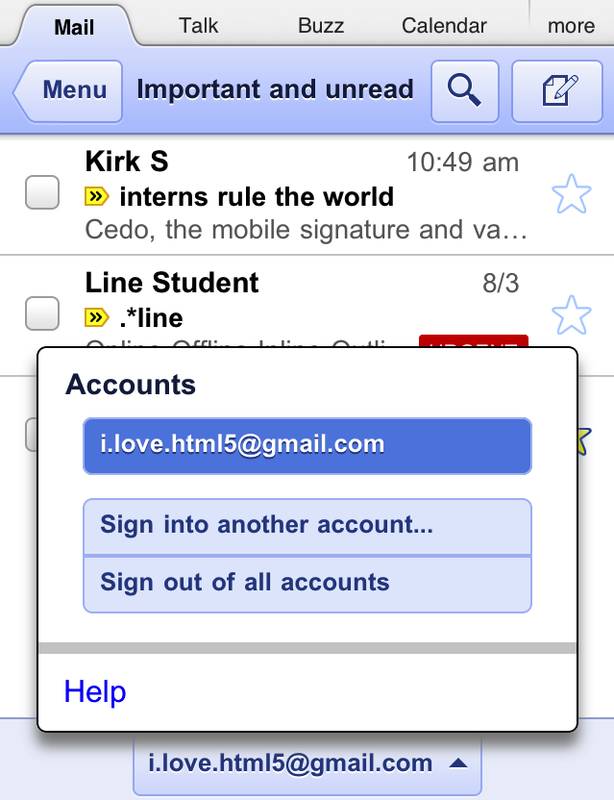 Visit the Enroll in Products > Google Apps section of the help center and check out the Sign up Guide. Confused about setting up your AdWords account? See the Enroll in Products > Google Grants section to check out the Grants Account Creation Guide. We now have contact forms in place to support top issues for the general Google for Nonprofits application process and to support each product. See the Contacting Us page for more details. Is something not working the way it’s supposed to? Check out the Fix a Problem section that includes troubleshooting content for both the enrollment process and post-enrollment product support. Let us know what you think about our new help center! Take a spin, explore the new resources and start up a discussion in the Google for Nonprofits Discussion Forum. Every nonprofit wishes signing up for Google for Nonprofits was as easy as just clicking a button, but we know this isn’t always the case and occasionally nonprofits need help. launched our program in Canada, offering support to non-profits and aboriginal communities that wish to leverage Google’s mapping tools to improve understanding of critical issues facing Canada today. Our team spent the week in Vancouver inspiring and empowering these groups to spread their message through geographic visualizations. Google Earth Outreach team member Tanya Birch works with a participant on Fusion Tables. We kicked off the week with a 3-day workshop co-hosted with our partner Tides Canada. With their help, we were able to gather developers, communications and technology professionals from over 50 organizations to be trained on Google Earth, Google Maps and Google Fusion Tables. We met folks from a diverse set of organizations, such as Ecotrust Canada, Social Alterations, Living Oceans Society, and Inuit Tapiriit Kanatami. These groups came into the workshop with varying levels of familiarity with Google’s geo tools. While some participants leveraged the time to master the basics, others focused on advanced coding using the Maps APIs. Non-profits developed and worked on their project ideas with Earth Outreach staff on hand for guidance and technical help. Our team was amazed by some of the projects that came out of these sessions, including a Google Fusion Table map of Inuit communities and a Google Earth tour of the path of a migrating whooping crane. Whooping crane migration path visualized in Google Earth by Matt Hanneman of Global Forest Watch Canada. Our activities in Vancouver culminated in an event on Wednesday for the wider Vancouver non-profit community. We were honored to have David Suzuki, an influential Canadian scientist, author, broadcaster and co-founder of the David Suzuki Foundation, on hand to share his thoughts on how philanthropy, public engagement and technology can advance the reach, scope and impact of Canadian civil society. Our team’s founder, Rebecca Moore, also took the stage to demonstrate how the rich variety of environmental and social issues in Canada can benefit from geographic visualizations as powerful tools for environmental advocacy and social justice. Afterwards, our team got to interact with the community face-to-face at demo stations featuring Google Earth, Google Maps, Google Fusion Tables, Open Data Kit as well as already developed Canadian mapping projects. Inspiring examples of Canadian organizations already using mapping tools to communicate their work. We are very excited about the next steps for these non-profits who have started their mapping initiatives and we can’t wait to see what comes next! For Canadian organizations looking to learn more, please take a look at our new Canadian website in English or French. Last week Google Earth Outreach launched our program in Canada, offering support to non-profits and aboriginal communities that wish to leverage Google’s mapping tools to improve understanding of critical issues facing Canada today. Our team spent the week in Vancouver inspiring and empowering these groups to spread their message through geographic visualizations. to share how you currently use Google products and how you find educational resources for those products. We were excited that hundreds of you took the time to provide a lot of great input. We wanted to highlight a few of the main themes, and alert you to some new educational resources that we’ve created based on your feedback. We asked you for which tasks you’ve sought out online resources or support. Many of you go online to communicate with others in your organization. You also go online to find resources for fundraising, online marketing, driving awareness for your cause, volunteer management and project management. Needless to say, there are a wide variety of tasks that you go online to complete! We asked you which Google tools you’d be interested in learning more about and it was clear to us that you’re most interested in the nonprofit-specific product offerings. AdWords (Google Grants), YouTube for Nonprofits and Google Apps for Nonprofit are at the top of the list of tools that you want to learn more about. We also asked you about your preferred formats for additional educational resources. You want online resources that are broken down into meaningful steps, such as online tutorials or checklists. You also said that you want more multimedia educational resources, such as online video. We wanted to take quick action on your feedback, so we’re launching a new set of educational checklists designed to help nonprofits get started with the Google tools that are available through the Google for Nonprofits Program. You can find this information here: http://www.google.com/nonprofits/tips.html. Additionally, we’ve launched a series of new Google Docs templates to help you with volunteer management. We have two Google Forms, a Volunteer Database Template & a Volunteer Event Registration Form Template to help you automate collecting volunteer information online. With these templates you can build an online database of general volunteer interest and get volunteers registered for specific events. We’ve also created a Volunteer Management Google Sites Template to help you communicate with volunteers, share key documents and publish a calendar of upcoming events. You can customize them to fit your organization’s volunteer management needs. 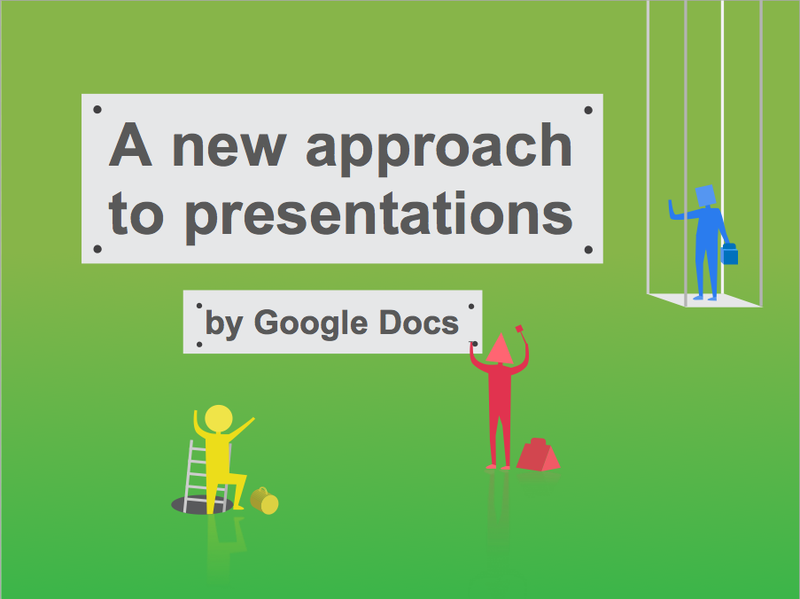 We’ll continue to develop additional resources to help save you time and increase your effectiveness with Google tools. If you have additional thoughts or feedback on the educational content we’ve shared today, please take a moment to share your perspective in the Google for Nonprofits forum here. A few weeks ago, we asked you to share how you currently use Google products and how you find educational resources for those products. We were excited that hundreds of you took the time to provide a lot of great input. We wanted to highlight a few of the main themes, and alert you to some new educational resources that we’ve created based on your feedback. from 11:00a.m.-1:00p.m. with recurring sessions every Thursday through the end of October. Office hours are located at the McKinley Towne Center (201 S. Division Street, Ann Arbor, MI 48104) in downtown Ann Arbor. Registration is required. To sign up, first select the Google product you have a question about, then register for a 20 minute appointment. If you have any questions, please send them to a2communityofficehours@google.com. We look forward to seeing you at Community Office Hours! Next week, Google’s Ann Arbor, Michigan office is piloting Community Office Hours for local nonprofits. As a proud member of the Metro Detroit community, Google Ann Arbor is eager to help southeast Michigan nonprofits achieve their goals by providing extra support on Google tools. Ann Arbor’s Community Office Hours will provide nonprofits with an opportunity to sign up for 20 minute appointments to receive one-on-one help with Google product questions. Google volunteers will be on-hand to answer questions related to Google AdWords, Google Analytics, Google Places, Google Apps, and Google+. The inaugural session will take place on Thursday, September 29 from 11:00a.m.-1:00p.m. with recurring sessions every Thursday through the end of October. Office hours are located at the McKinley Towne Center (201 S. Division Street, Ann Arbor, MI 48104) in downtown Ann Arbor. We are excited to announce the launch of the Google Earth Outreach program in Canada. To celebrate the Google Earth Outreach team is directly engaging the Canadian non-profit and aboriginal communities through a week of exciting workshops and activities in Vancouver, BC. The program has been successful in helping non-profits around the world bring their stories to life through the use of Google’s mapping tools. To date, the Google Earth Outreach team has facilitated the use of mapping tools to stop mountaintop removal coal mining in Appalachia, documented Darfur with USHMM, highlighted climate change with Al Gore, and most recently took Street View to the Amazon, just to name a few. Both as a Canadian and Google Earth Outreach team member, I’m thrilled to bring these exciting opportunities home. Canada currently faces a wide variety of environmental and social issues that can benefit from powerful geographic visualizations. With the launch of the program in Canada, the team aims to support the use of online mapping tools by public benefit groups seeking to address Canada’s most pressing concerns, such as the protection of the Boreal forest and Arctic regions, as well as other humanitarian and cultural issues. We are enabling organizations to quickly and easily get the resources they need to use Google Earth and Google Maps to tell visually compelling stories about their causes to millions of users. Watch the video below for a preview highlighting the work the David Suzuki Foundation is doing to protect Canadian oceans. David Suzuki Foundation’s I Am Fish video is a great example of a Canadian organization using Google Earth to communicate their cause to a large global audience. Eligible members of the Canadian non-profit community are now able to apply for grants of Google's tools and services including Google Earth Pro and SketchUp Pro. The launch of our Canadian website gives our Canadian users access to a plethora of resources to help them better develop their mapping projects through tutorials, a showcase of great non-profit maps, and an online community of other non-profit Google Earth and Google Maps users. To jumpstart these mapping initiatives in Canada, the Google Earth Outreach team has partnered with Tides Canada to engage with Canadian non-profits face-to-face with two very popular and fully-booked events. Starting today, the Google Earth Outreach team will be teaching a technical, interactive three-day workshop and facilitating mapping projects among the participating non-profits and aboriginal groups. We’ll cap off our activities on Wednesday night with an exciting event for the larger Canadian non-profit community, with a keynote talk by our very special guest Dr. David Suzuki. This event will give attending non-profits a sneak peek at how other groups have used Google Earth and Google Maps to make a powerful impact on their communities. To hear more about what we’re up to in Canada this week, check out our homepage for a different Canadian mapping example every day and follow us on Twitter. We hope these early Canadian partners will inspire you to use Google Earth and Google Maps to help tell your own story! 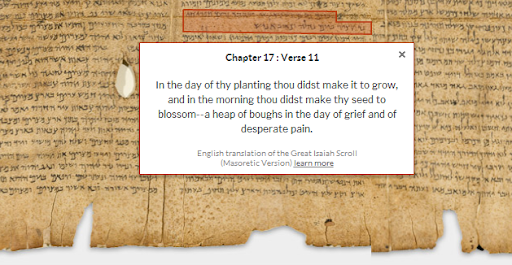 It’s taken 24 centuries, the work of archaeologists, scholars and historians, and the advent of the Internet to make the Dead Sea Scrolls accessible to anyone in the world. Today, as the new year approaches on the Hebrew calendar, we’re celebrating the launch of the Dead Sea Scrolls online; a project of The Israel Museum, Jerusalem powered by Google technology. This partnership with The Israel Museum, Jerusalem is part of our larger effort to bring important cultural and historical collections online. We are thrilled to have been able to help this project through hosting on Google Storage and App Engine, helping design the web experience and making it searchable and accessible to the world. We’ve been involved in similar projects in the past, including building the Yad Vashem Holocaust photo collection and collections at the Prado Museum in Madrid. We encourage organizations interested in partnering with us in our archiving efforts to enter their information in this form. 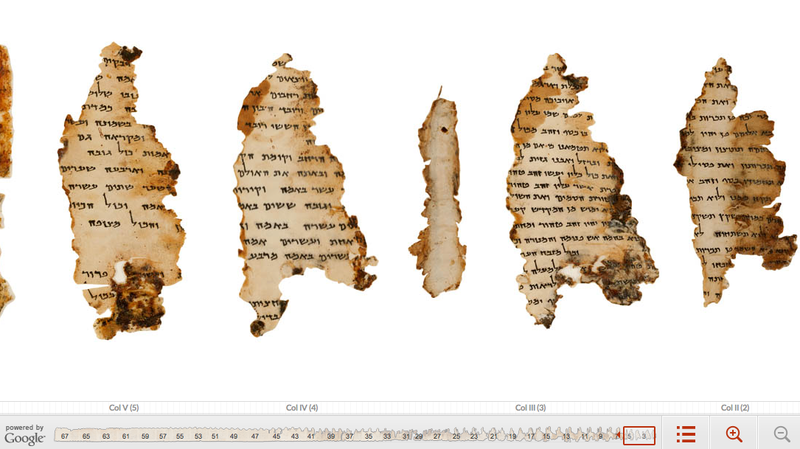 We hope you enjoy visiting the Dead Sea Scrolls collection online, or any of these other projects, and interacting with history at your fingertips.